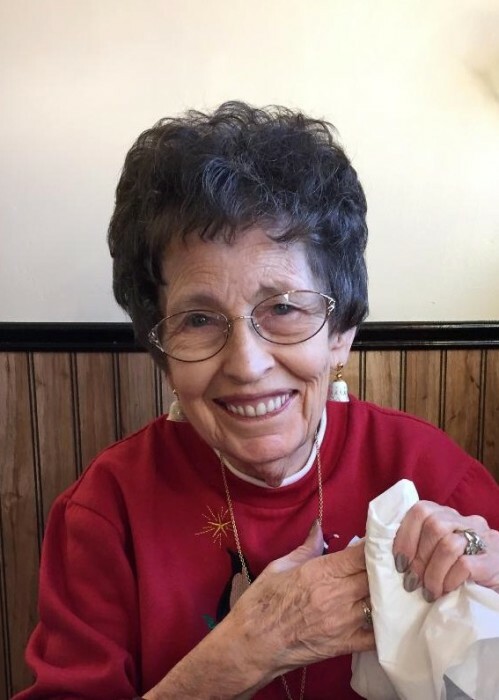 Dixie L. Bowman, age 80, of Livingston, Montana passed away, Friday, April 12th, 2019 at Livingston HealthCare Hospital. A memorial funeral service will be held on Thursday, April 25, 11:00A.M., at Holbrook United Methodist Church, 424 W Lewis St, Livingston. Reception will follow the service at the Holbrook Hall. Burial will be at the Sunset Memorial Gardens in Billings, at a later date. Dixie was born in Billings, Montana to Cleon “Burt” and Amy (Hendricks) Bracken. Dixie was the oldest of five children. Following her graduation from Billings High, she married the love of her life, Sterling Bowman, on June 13th, 1957 in Red Lodge. They began their family in Billings, moved to Valier, MT until their daughter, Terri Lynn became ill. They then moved back to Billings so Terri could receive the best care between Billings and the Warm Springs Hospital. They were heart broken when Terri passed in 1964. The family relocated to Livingston. Dixie worked at the hospital to begin with. She and Sterling would buy Eastep’s and then ran the Wilson Boot Company. Sterling had been an employee of Carl Wilson, founder of the “Wilson Boot”, first ever boot with the “spur shelf”. When Carl decided to retire in 1968, Sterling and Dixie bought and ran the business up until Sterlings death. Dixie was the bookkeeper and business manager, her favorite benefit of working with her husband was being able to keep a close eye on him. Dixie was a devoted member of the Eastern Star and the Daughter’s of the Nile associations. She also was a “mother” with the girl’s Rainbow program. She and Sterling did travel a bit even going to Hawaii. Dixie was most in her element at home. She loved her family and keeping her home and yard just so. She will be missed and a respected member of the Livingston business community and devoted member of her fraternal associations. She is survived by her son, Wayne Bowman of Livingston; her brothers, Gary (Carla) Bracken of Billings, Bob Bracken of Texas, Bill (Jan) Bracken of Tucson, AZ; nieces, nephews, other relative and dear friends. There's still time to send flowers to the Memorial Funeral Service at the Holbrook United Methodist Church at 11:00 AM on April 25, 2019.